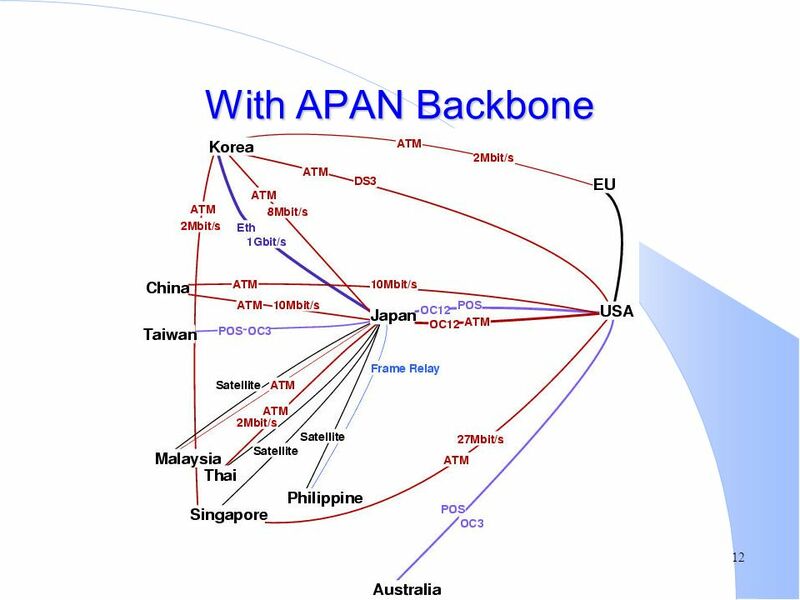 1 APAN-China update 2002-08-28. 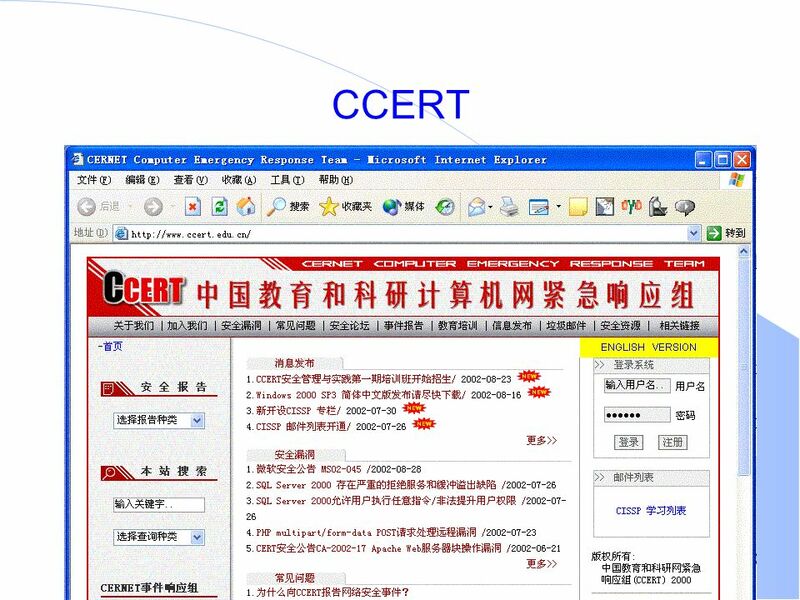 2 Contents l Research and Education Networks in China l CERNET Background and Update l Peer connectivity with other R+E. 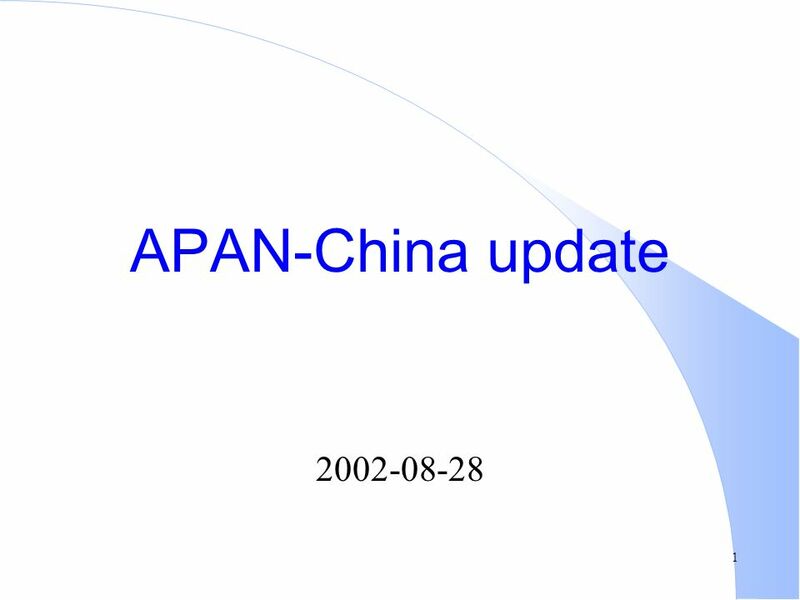 Download ppt "1 APAN-China update 2002-08-28. 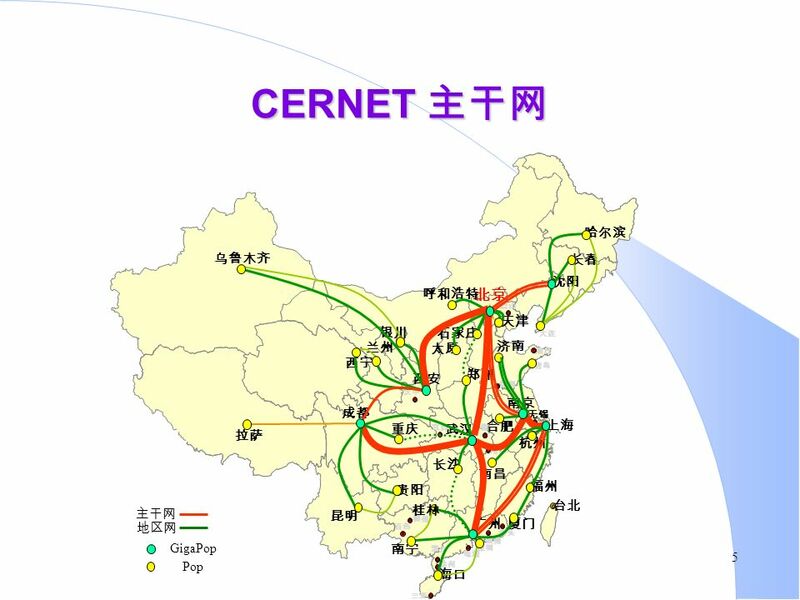 2 Contents l Research and Education Networks in China l CERNET Background and Update l Peer connectivity with other R+E." 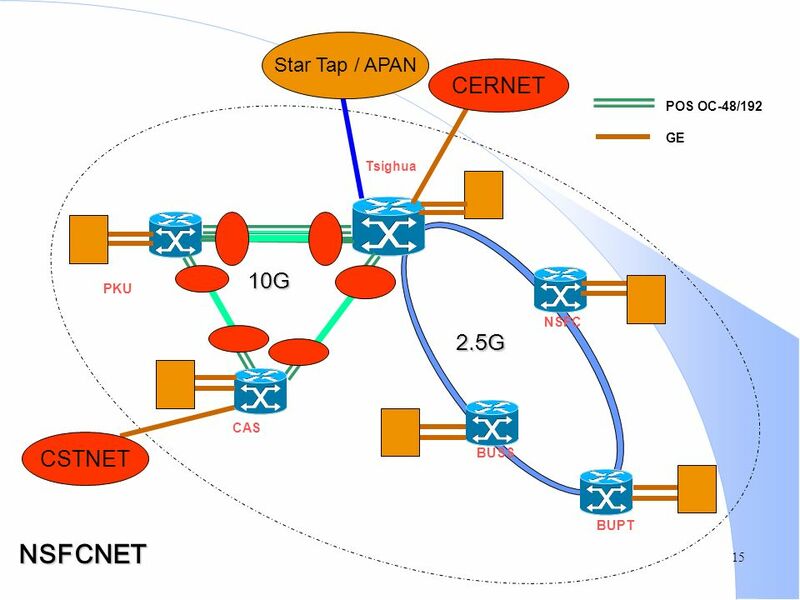 12 October CompactPCI and Telecom The Potential is Much Larger !! R. Brough Turner CTO, Natural MicroSystems. 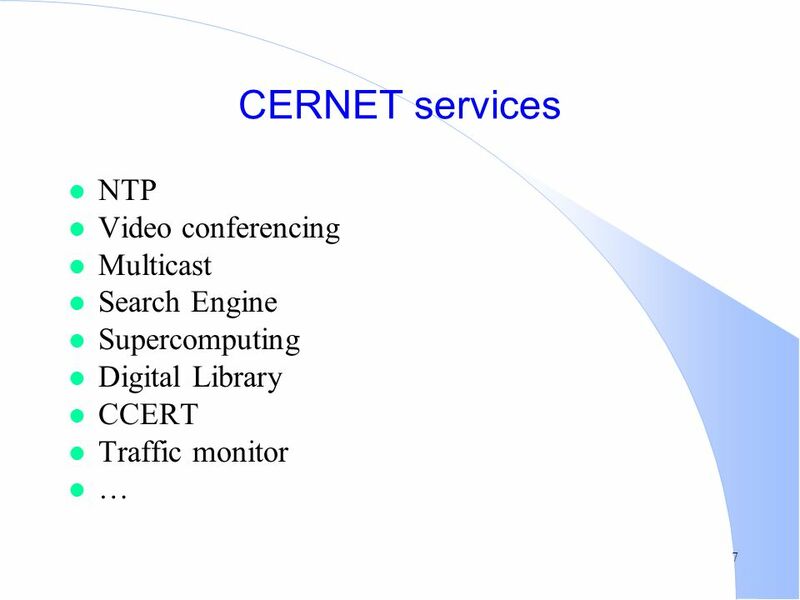 SURFnets connections to StarLight Erik-Jan Bos Manager Network Services SURFnet STAR TAP SM INET 2001 Annual Meeting Stockholm, Sweden - June 5th, 2001. University of Illinois at Chicago Annual Update Thomas A. DeFanti Principal Investigator, STAR TAP Director, Electronic Visualization Laboratory. 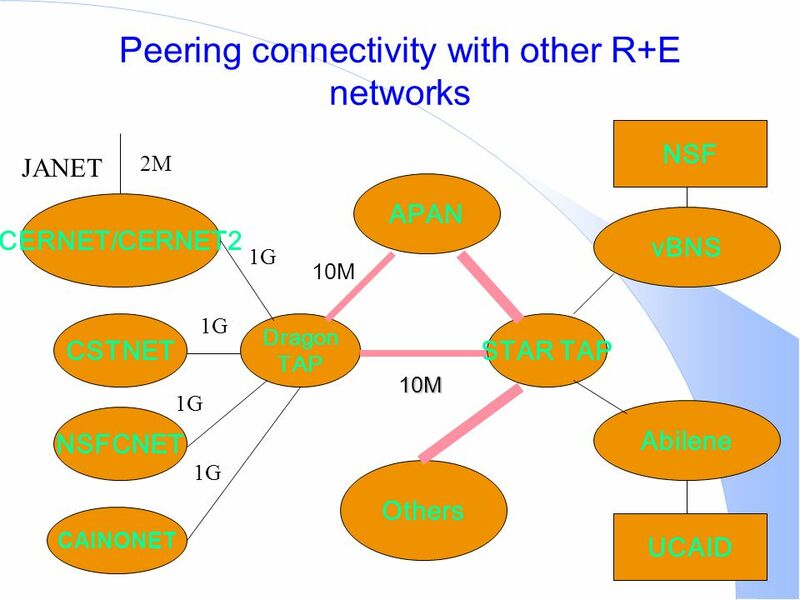 February 2002 Global Terabit Research Network: Building Global Cyber Infrastructure Michael A. McRobbie Vice President for Information Technology & CIO. 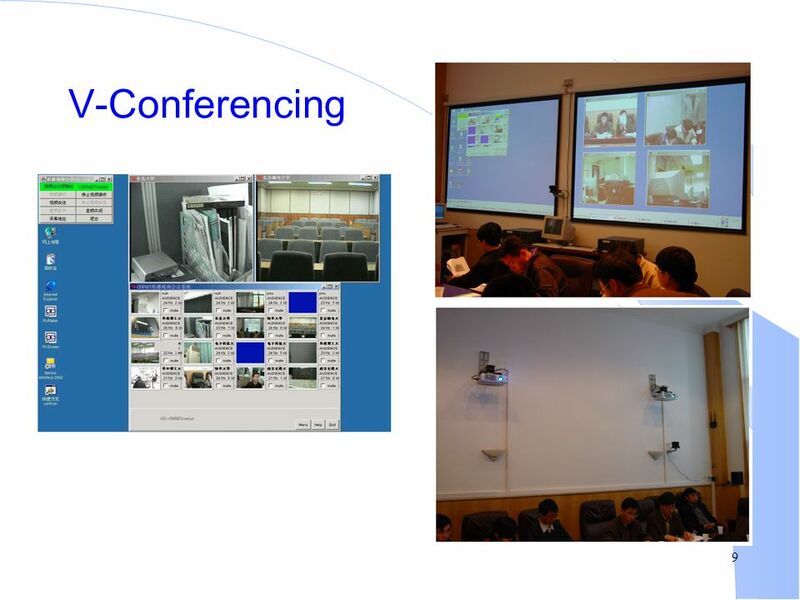 David Lassner University of Hawaii Update from Paradise: Advanced Networking in Hawaii. 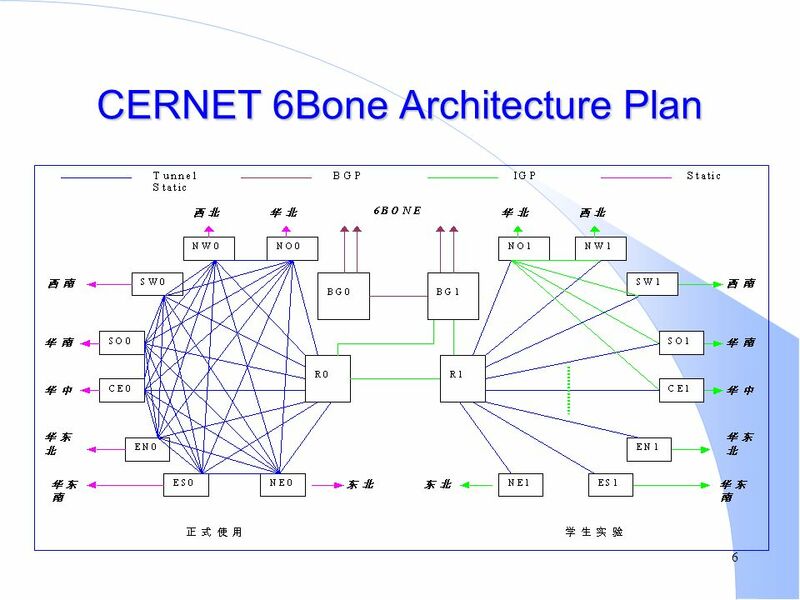 HARNET Update By Charles Choy Senior network engineer Hong Kong Academic Research Network. 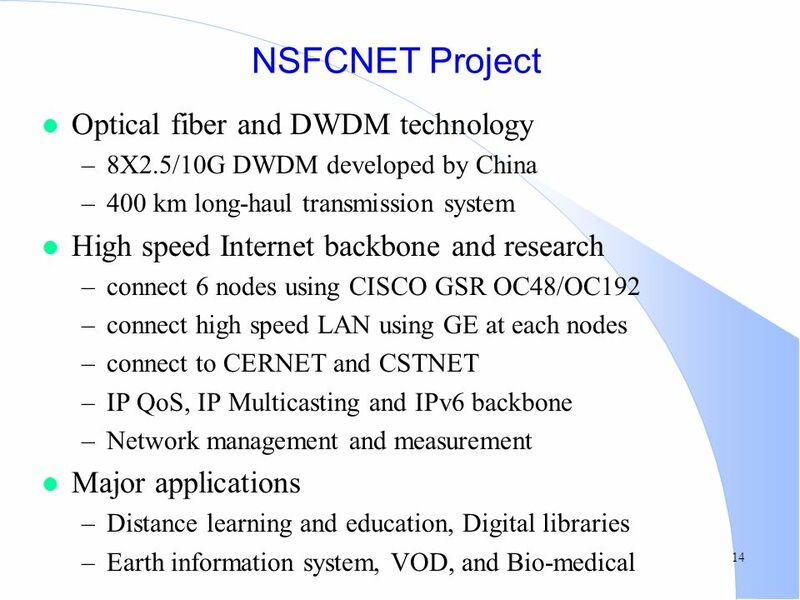 IPv6 and CNGI in China Jianping WU July 6, Contents What is the next generation Internet we needed IPv6 and its development CERNET update Next Generation. 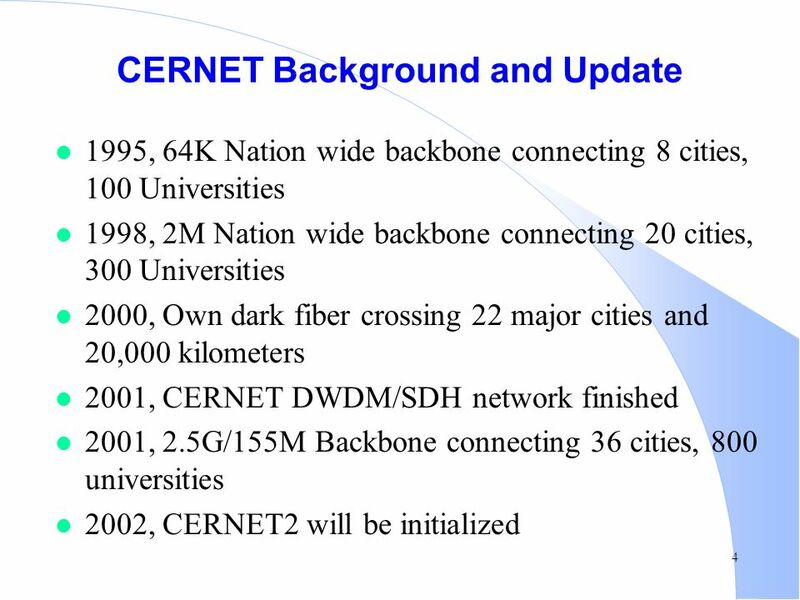 History of Internet in Singapore APAN Meeting Busan, August 2003. 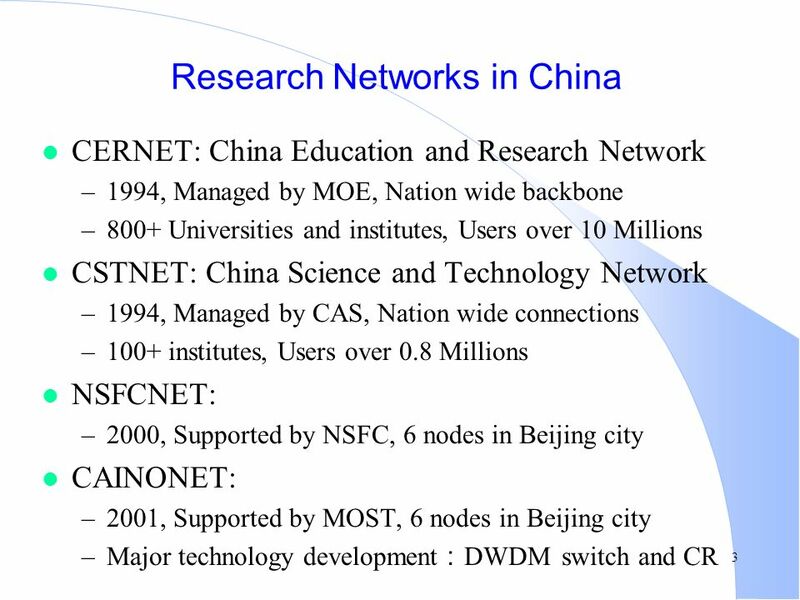 Status report: IPv6 development of Research and Academic Community in China APAN 2004 EWC, HWU 2004/01/29. May. 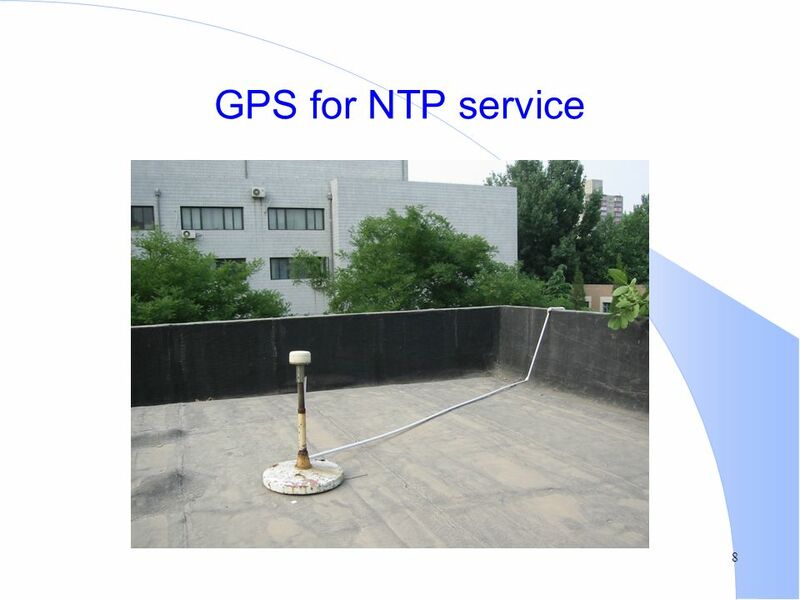 2006 TNC-2006 Optical Networking Research in China Jian Wu Beijing University of Posts and Telecommunications.